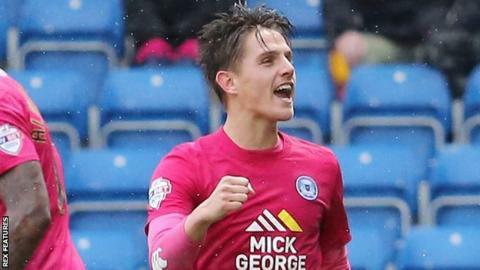 Peterborough United striker Tom Nichols has said he will miss the remainder of the season because of a medial ligament tear in his knee. The 22-year-old joined the League One side from Exeter in January and has scored one goal in seven appearances. He picked up the injury during the Posh's 2-1 defeat at home by Rochdale. Referring to his knee problem, Nichols tweeted: "Thanks for the messages everyone, I'll be back ready for next season stronger than ever."